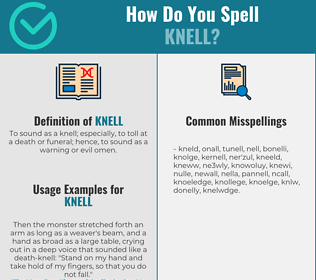 How Do You Spell KNELL? Correct spelling for the English word "knell" is [n_ˈɛ_l], [nˈɛl], [nˈɛl]] (IPA phonetic alphabet). 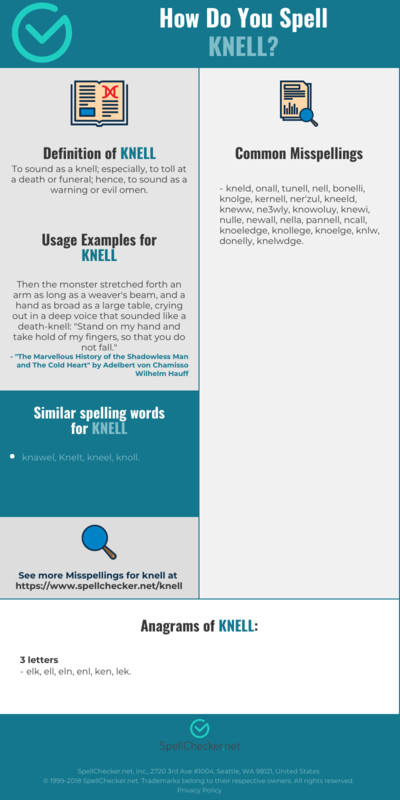 Below is the list of 189 misspellings for the word "knell". To sound as a knell; especially, to toll at a death or funeral; hence, to sound as a warning or evil omen.